Stare at the red dot in the center of the image you will know the funky things about it. 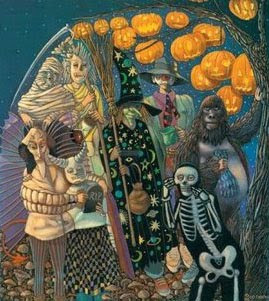 What you see below is the cover of Ray Bradbury’s book The Halloween Tree. If you have trouble seeing the illusion, try squinting your eyes! A sea cliff made of Parmigiano cheese, potatoes and cabbage. Do you see a pattern of large and small squares? 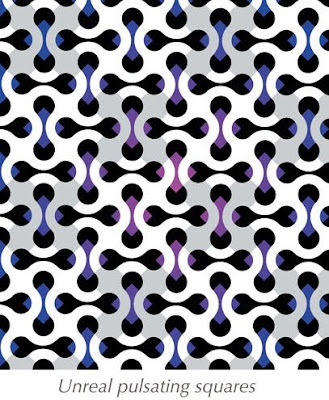 The apparent neon squares seem to pulsate slightly when we concentrate on the image. 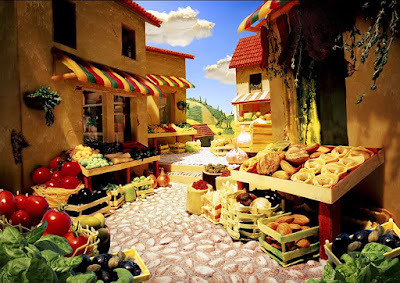 The castle is made out of cheese, the walls out of rice, and the wagon wheels out of mushrooms! 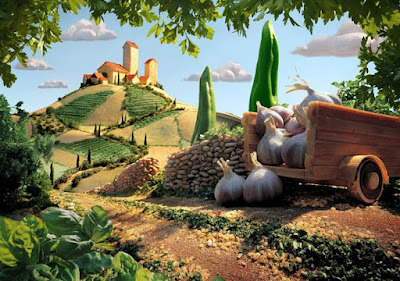 This Italian inspired rural scene includes a lasagna cart, fields of pasta, a pine nut wall, mozzarella clouds, trees of peppers and chilies and a parmesan village. 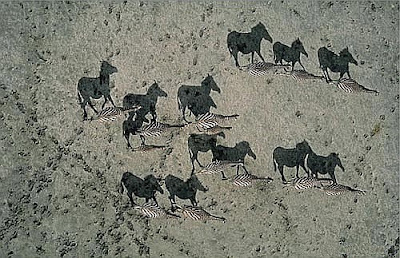 Look properly you will realize the shadow is the body of the zebra and the stripes are the shadow . weird and amazing.